Dwelling – Using fire and/or explosives, the alleged arsonist intentionally damages or destroys a building in which is being used as a dwelling when the act took place. The penalty for this is a maximum of 20 years in prison and/or a fine up to $20,000. Other Buildings – The alleged arsonist uses fire and/or explosives to damage or destroy any building not being used as a dwelling while another individual not involved in the crime is present and the defendant knew of this. The penalty for this is a maximum of 20 years in prison and/or a fine of up to $35,000. 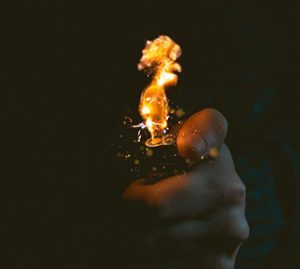 Flammable Material – The alleged arsonist uses fire and/or explosives to intentionally damage or destroy any building not being used as a dwelling by using a flammable material to initiate or accelerate the fire. The penalty for this is a maximum of 20 years in prison and/or a fine of up to $20,000. Second-Degree Arson – Second-degree arson is when the individual intentionally destroys or damages a building not covered by first-degree as well as any personal property worth more than $1,000. This is a felony with a maximum sentence of 10 years in prison and/or a fine of up to $20,000. Third-Degree Arson – When an individual intentionally damages or destroys property using fire and/or explosives that is over $3,000 and less than $1,000 or when said property is unintentionally damaged or destroyed but could have been expected. This is a felony with a maximum penalty of 5 years in prison and/or a fine of up to $10,000. Fourth-Degree Arson – When an individual uses fire and/or explosives to burn personal property in a public building. This is a gross misdemeanor and the penalty is a maximum of 1 year in prison and/or a fine of up to $3,000. Fifth-Degree Arson – Fifth-degree arson is when an individual intentionally sets fire or burns any personal or real property of value. This is a misdemeanor with a maximum of 90 days in prison and/or a fine of up to $1,000. 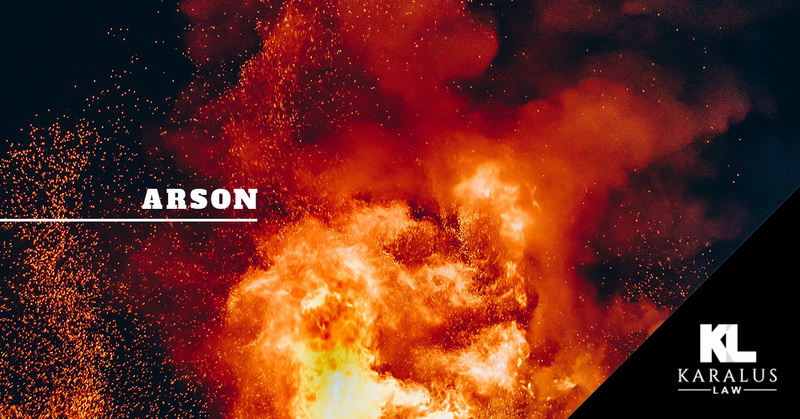 If you or someone you know has recently been charged with arson, it’s important to have an experienced criminal defense attorney on your side to fight for you. Brian Karalus of Karalus Law has spent his career defending the rights of his clients. He has countless “not guilty” and dismissed victories and will work tirelessly for your case. There is no time to hesitate, contact Karalus Law today.